(Skip the Line!) 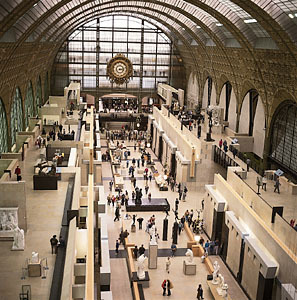 Tour the d'Orsay Museum, home to the world's most important impressionist art collection. Tour the d’Orsay Museum, home to the world’s most important collection of Impressionist and Post-Impressionist art. Your d’Orsay Tour will allow you to explore some of the world’s most exquisite collection of in works by such greats as Renoir, Van Gogh, Cezanne, and Corot, while also taking in one of the most fascinating architectural buildings in the entire city of Paris. Your d’Orsay Tour will start on the museum’s ground floor with explorations of pieces by luminaries like Corot, Monet and Degas. After that, your d’Orsay tour guide will lead you upstairs to explore how these earlier works lead to the more innovative art pieces upstairs. Located a mere stone’s throw away from the Louvre Museum, the d’Orsay Museum presents a wonderful contrast to its more famous art rival and actually favored by Parisians more than the Louvre due to it’s collection and manageability. At the end of your tour of the d’Orsay, your guide will leave you at one of the two delicious café’s in the museum, where you can reflect on what you’ve explored and what you’d like to next during your Parisian adventure. During your d’Orsay Tour you will do more than just study the beginnings of Impressionist art, you will also explore the enchanting architecture that makes the d’Orsay Museum one of the world’s ‘must see’ museums. Your d’Orsay tour guide will lead you through light and airy rooms, full of stunning natural light, beautiful architecture, and stunning views of the Seine. Best of all, you'll get to skip the long entrance line with your guide! Departure Time: Flexible - it's up to you! 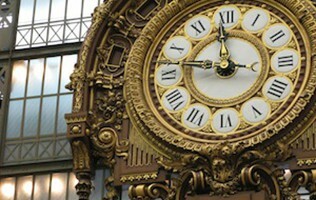 Entry fees are not included with our dâ€™Orsay Tour. Entry fees are â‚¬11 per adult and include the permanent dâ€™Orsay collections. While you may certainly purchase it online ahead of time, there is no need to do so. You can simply purchase your dâ€™Orsay ticket with your guide on the day of your tour. I have the ParisPass. Does that include entry to the dâ€™Orsay Museum? What will I see on my dâ€™Orsay Tour? 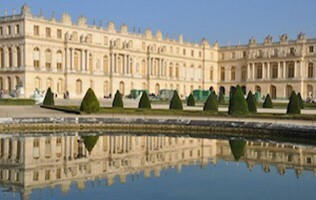 You will se Manetâ€™s On The Beach and Woman With Fans, Monetâ€™s gardens at Giverny, CÃ©zanneâ€™s card players and many more! Your guide will meet you at your predetermined meeting point â€“ usually your hotel or apartment, or at our general meeting point right near the dâ€™Orsay.